Gale Force Rentals has everything you need to spend your precious vacation time relaxing. Leave the packing to us! 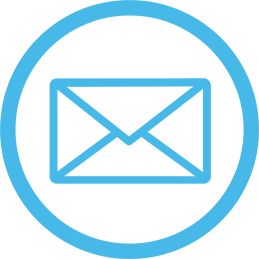 Fill out the Beach Vacation Rental Supply List and have your requested beach vacation equipment and supplies pre-delivered to your vacation rental at affordable prices. We offer a complete line of rental linens, towels, beach equipment, baby equipment, TV's, A/C and all manner of appliances delivered direct to your Delaware or Maryland beach vacation rental. No need to overload your car with beach chairs, baby high chairs, play-pens, towels and bedding. No need to wash linens when you get home. Leave it all to us! Gale Force Rentals is locally owned and have been serving the Delaware & Maryland beach resort areas for over 30 years. We undertand how precious your vacation time is and provide the rental products, supplies and services to make your vacation relaxing and fun without the packing and hauling hassel. Best Linens at the beach! Our standard sheets are silk to our competitors sandpaper. 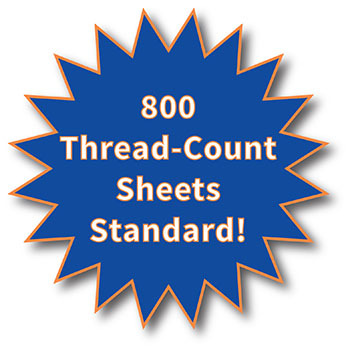 800 thread-count per inch sheets. We have everything you need including sheets, bath towels, bath sheets, beach towels and more. Complete line of baby equipment. All our baby equipment meet federal safety requirements. Including cribs, strollers, joggers, high chairs, booster seats, wagons & more! Heavy duty beach equipment. We can deliver bulky equipment right to your rental unit to take the worry out of packing and hauling your beach fun. Beach umbrellas, sand chairs, beach carts, bbq grills, banquet tables & chairs, party size coolers, metal detectors and more! No Microwave? No problem! We have everything you need to make your stay comfortable including TV's, DVD players, Microwaves, A/C units, fans, blenders, refridgerators, irons & Ironing boards and more! All Rights Reserved. Unauthorized duplication, use or linkage prohibited. Delaware Website Design by Coastal Images Inc. for Beach-net!